One of our faves, Nehanda Loiseau, is doing so many amazing things, and this initiative is yet another. 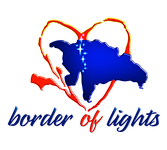 With the use of Kickstarter, the organization she leads, Border of Lights is sponsoring a campaign to fund events, activities, and service projects for the Haitian-Dominican border. Members of the Haitian and Dominican diaspora and activists across the world are coming together to commemorate, collaborate, and spread awareness about the Haitian Massacre and to shed light on current injustices faced by Dominicans of Haitian descent living in the Dominican Republic. You have the chance to help this endeavor. Donate a lot, or donate a little, but be sure to contribute something. Check out the Border of Lights Kickstarter page, and make your donation to support this great initiative. To learn more about the Haitian Massacre, click here! To stay updated on Border of Lights, and all they have going on, check them out on the web.